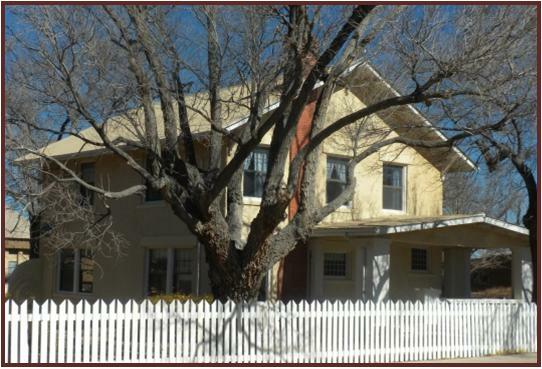 This two story adobe was built in 1911 for Major Henry Samuel Campbell who ran a saloon here. Later owners were Albert and Clara Snow. She became president of the Carrizozo Woman's Club, which helped get the Valley of Fires designated as a State Park in 1966. Now a private residence.